A new topic called Choose your Development Style for Managed Code that describes the choices of tools and classes you can use when you write managed code and provides information to help you decide what is best for your needs. Improved authentication helper code and a new sample that demonstrates how to connect to the web services without using helper code. Code changes to work in browsers to be supported in a later release, and information to guide you in making those changes. Delivered the Solution Packaging Tool! This entry was posted in Information, MS CRM and tagged 5.0.12, CRM 2011, download, Microsoft Dynamics CRM 2011, MSCRM, MSCRM 2011, MSDN, Rollup 10, SDK, Xrm.Page on August 21, 2012 by Rhett Clinton MVP. The Microsoft Dynamics CRM Sustained Engineering (SE) team have been hard at work to get the UR10 release to us all on August 16 2012. This entry was posted in Information, MS CRM and tagged CRM 2011, kb2710577, Microsoft Dynamics CRM 2011, MSCRM, MSCRM 2011, Rollup 10, UR10 on August 16, 2012 by Rhett Clinton MVP. 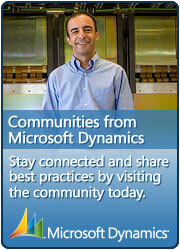 Update Rollup 10 for Microsoft Dynamics CRM 4.0 is available. Microsoft CRM 4.0 Rollup 10 is here (8th April 2010) and information about the Rollup is here. This entry was posted in Information, MS CRM and tagged MSCRM, Rollup 10 on April 9, 2010 by Rhett Clinton MVP.